Chinese applicants are no longer the only group suffering under the EB-5 program’s intractable retrogression nightmare; Indian and Vietnamese investors applying today can expect to wait 5.7 and 7.2 years, respectively, to get their EB-5 visas approved, shows an analysis by Mr. Charles Oppenheim, Chief of the Department of State’s Immigrant Visa Control & Reporting Division. 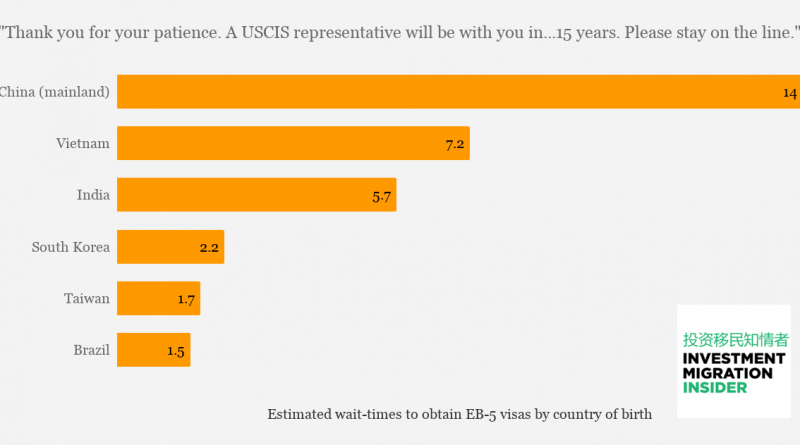 *As the current USCIS processing time for an I-526 is roughly two (2) years, there is no effective wait time between I-526 approval and visa availability. 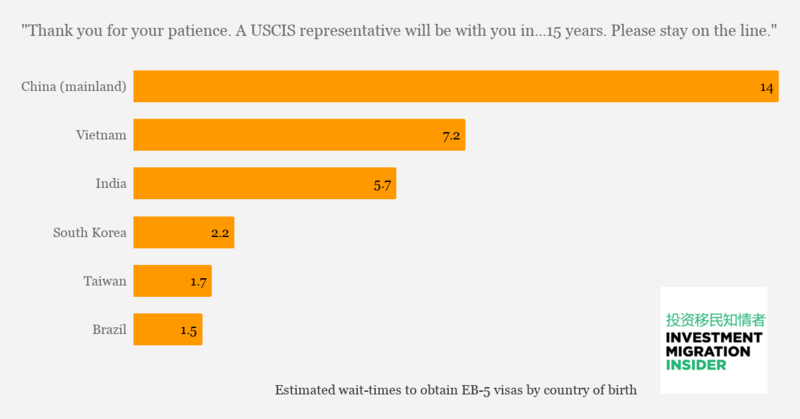 Furthermore, for the first time in history, Chinese investors no longer make up an absolute majority of EB-5 visa recipients; in fiscal year 2018, the USCIS allocated 48% of such visas to mainland Chinese. Vietnam reached its retrogression threshold – 7.1% of the 10,000 visas available per year – in early 2018, and has already seen its wait-times shoot up as a result. Interest from Indians, the fastest growing applicant group, has shot up from 1.7% of all applications in FY2017 to 6.1% in FY2018, indicating they are virtually certain to enter retrogression territory within months.